Power Partners have six months to choose their pledge items. 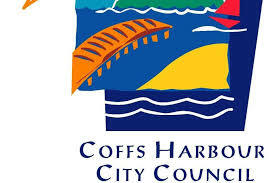 Come back soon to see which exciting pledges Coffs Harbour has chosen. Biodiversity Action Strategy and associated initiatives. Environmental Levy which provides $1.3 million per annum to fund Council and community environmental programs and projects. Sustainable Living programme delivering a free programme of events, workshops, campaigns and nature based tours. The conversion of Rigby House, one of Council’s two main office buildings, to renewable solar energy was a step forward in our sustainable energy strategy. ​At the time of installation​, the Rigby House Goes Solar project was the largest public rooftop solar power connection in NSW. A total of 650 photovoltaic panels are installed on the roof of Rigby House with a peak power output of 136.5kW. This system continues to generate around 30% of the power needed to run the heating, ventilation and air conditioning, lighting, office equipment and lifts in the building. The solar system generates around 175 megawatt hours per annum which is an annual saving of 175 tonnes of carbon emissions. The installation of the system has saved Council around $30,000 a year in direct electricity costs for Rigby House. Council has also adopted an organisational Sustainability Policy, a Climate Change Policy and a Renewable En​ergy and Emissions Reduction Plan. “Our goal is to source all of our electricity from renewable sources by 2030”. Reducing Council’s contribution to climate change and supporting the community to reduce their contribution to climate change. Adapting Council’s activities and services to become more resilient to climate change and realise the opportunities it provides. Working with the community to help build the resilience of our residents and local ecosystems to adapt to the effects of climate change. Council will reduce its per annum corporate emissions (tonnes CO2-e) from 2010 levels by 50% by 2025. Council’s energy use will consist of 100% renewables by 2030. Stage one of Council’s REERP now underway involves significantly reducing consumption with a range of energy efficiency measures such as switching to LED lighting and installing solar PV systems at Council-owned sites. Sites identified for solar PV include both high energy consuming sites – such as water reclamation plant and the regional airport – and smaller load sites such as libraries and community centres that will also ​provide opportunities for community education and engagement. Through the Cities Power Partnership, Council seeks to gain insights into other Council initiatives that can assist us achieving our emissions reduction and renewable energy goals. One of the key initiatives in our Renewable En​ergy and Emissions Reduction Plan involves large scale solar generation and the models used and piloted by other Councils will assist in determining our approach. Research, collaboration and learning are key areas where we see the partnership assisting Council in its journey and also for Council to play its role in promoting emissions reduction and renewable energy across Local Government.